Available From this Web Site (www.steers-pl.com.au). "Wedderburn" Digi Computing Scale, Model Digi, 10kg. 3 "Teraoka" Digital Computing Scales, Model DS-410, 60kg. 3 Laminated Top Canteen Tables. 3 Filing Cabinets, 4 Drawer. "Thytec" Back Up Power Supply. "Cincinnati" Bundy Clock and 4 Racks. Small Refrigerator, Stainless Steel Electric Urn and Microwave Oven. 3 Portable Modular Offices, 40' x 10' and Ammenities Complex. Portable Office, 20' x 10'. Chemical Store, Poly Styrene Panel, 10'x 6'. Label Store Portable Building, 40'x 10'. Spice Room, Polystyrene, 12' x 16'. Structure Over Part Processing Area, 38m x 15m. 2 "Kew" Mobile Steam Cleaners. 3 Bays Heavy Duty Pallet Racking. 2 Stage Mast, Automatic, Side Shift. 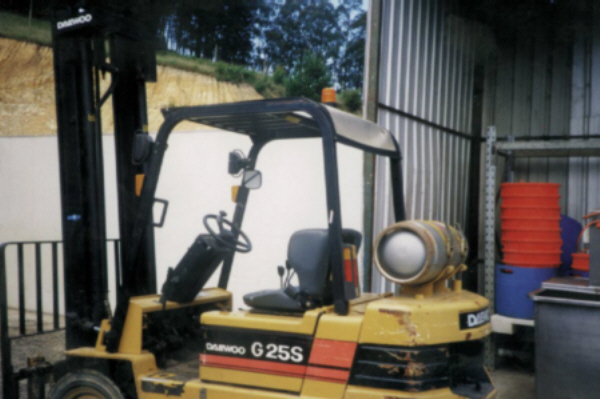 "B.T" Walk Behind Electric Forklift, Model WRX30, 3 Stage Mast. Stainless Steel 4 Cage Steam Cabinet. "Total" TA12 Portable Air Compressor, 240 Volt. Stainless Steel Product Lifting Bin. "Toledo" 3000kg Digital Scale, Readout and Platform Loadcase. 2 "White" Stainless Steel Steam Cabinets, 3 Cage. 15 Single Door Clothes Lockers. 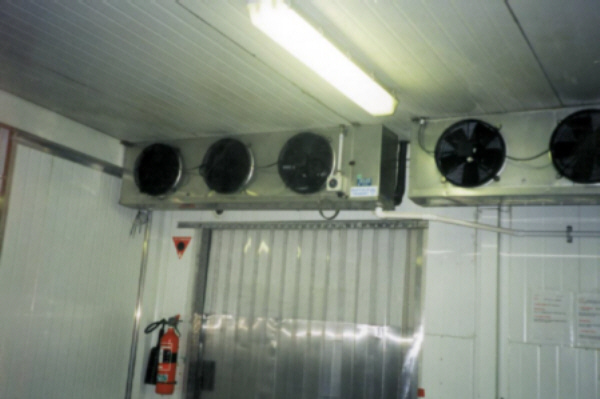 2 "Conditionaire" Air Curtains, ea 20". 3 Strip See Thru Curtain. "Buffalo Trident" 5 Fan FDC Unit. 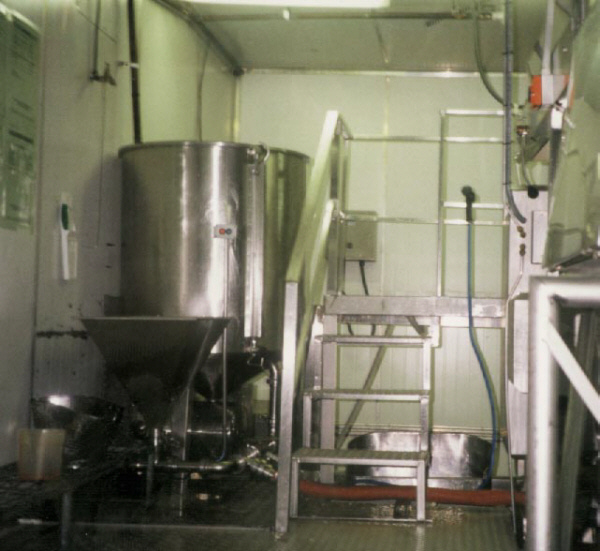 Stainless Steel "Cryovac" Dip Tank, Pneumatic Controls. 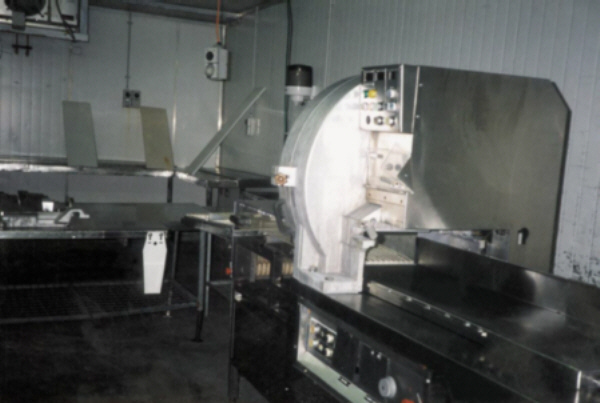 "Inauen" VC 999 Vacuum Sealer, Type VC 999 03 DKN +0. "Multivac" Swing Lid Vacuum Sealer. "Brice" Bench Top Meat Slicer. "Buffalo Trident" FDC Unit, 5 Fan. 3 Lengths Gravity Roller Conveyor. Stainless Steel Frame Gravity Roller Conveyor, 2500mm. Stainless Steel Table. 2500 x 1200mm. Stainless Steel Frame Product Conveyor, 2000 x 400mm. Stainless Steel Two Tier Stand. Stainless Steel Fram Aluminium Checker Stand, 1000 x 800. 2 Lengths Stainless Steel Frame Gravity Roller Conveyor, 2000mm. Water Filter and "Iwaki" Clorinator. "Davey" Model 16ss High Pressure Pump and Pressure Tank. "Auststeam" 500kw Attended Steam Boiler. "Steam-o-matic" 50hp Packaged Boiler, Model W142, LP Gas Fired. 4 Cylinder Stationary Compressor, 15hp on Horizontal Air Receiver. Stainless Steel Insulated Header Tank. 2 "Grundross" Multi Stage Pump, Model CR2 Condensor, 6 Fan. Qty Labels, Pouches, Casings, etc. 2 "Buffalo Trident" FDC Unit, ea 3 Fan. 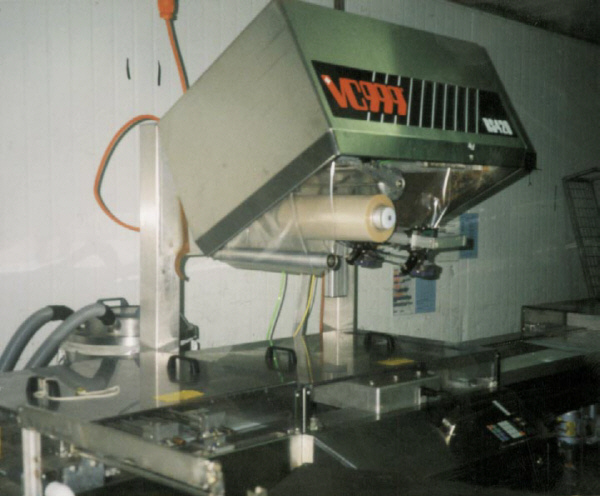 "Loma" Carton Metal Detector with Inline Conveyor, 2000mm. "Wedderburn" Carton Scale, 60kg with Product Computing Loadcell. 2 Lengths Gravity Roller Conveyor on Stainless Steel Stands. 2 "Nederman" Retractable Hose Reels. 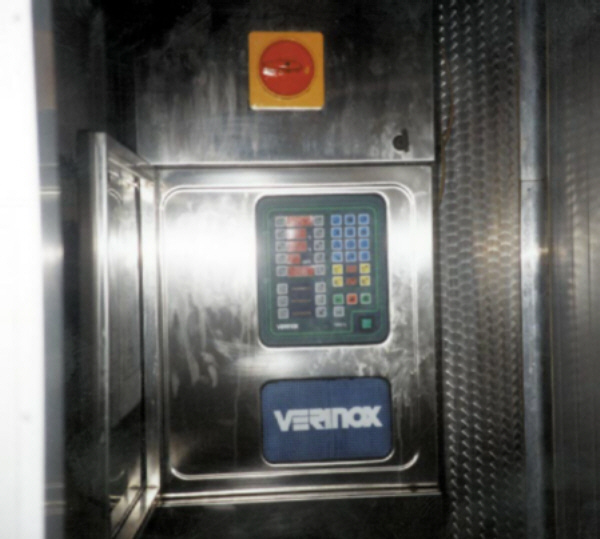 "Inauen" VC999 Thermo Former and Sealer, Model VC 999 RS420. "Bestpack' Top and Bottom Carton Taper. "Muller" FDC Unit, 4 Fan. 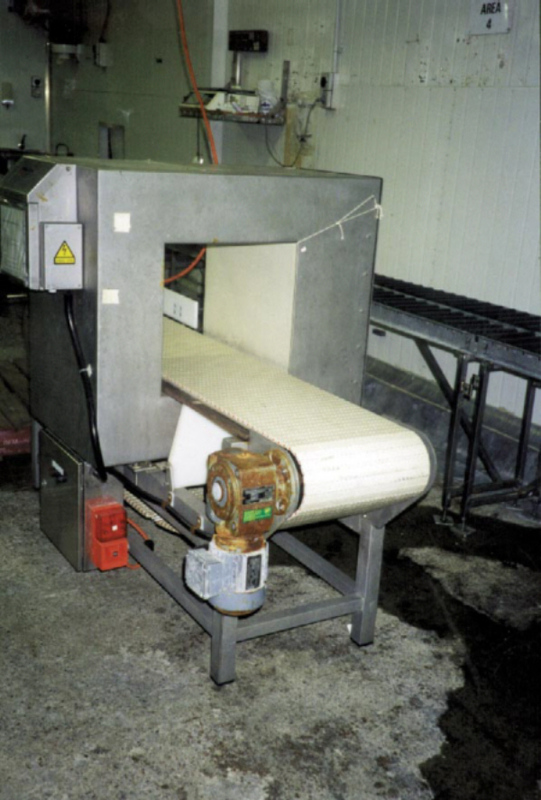 "Slicemaster" Bacon Slicer with Finger Belt Product Conveyor. 3 Stainless Steel Benching, Wall Mounted, ea 2000mm. 2 Lengths Gravity Roller Conveyor, 1500mm. Stainless Steel Topped Table, 1800mm. Stainless Steel Topped Table, 900mm. Stainless Steel Topped Table, 2000mm. Stainless Steel Topped Table, 600m, Mobile. 3 Stainless Steel Bin Stands. 2 Assorted FDC Unit, ea 4 Fan. 12 Stainless Steel Bin Trolleys. Mobile Four Tier Shelf, 2 Three Tier Shelves. Stainless Steel Fram, 2 Tier Stand. 200lt PVC Bin and Trolley. 2 Bays Heavy Duty Pallet Racking. 15 Stainless Steel Product Lifting Bins, 200lt. Stainless Steel Mobile Two Tier Table, 1400 x 1200. Stainless Steel Tally Table, 1200mm. "Fomaco" Pickle Injector, 144 Needle. Stainless Steel Soaking Tank, 3000 x 1000. Stainless Steel Packing Table, 2000 x 800 with Pneumatic Clamp. 2 FDC Units, ea 5 Fan. 2 FDC Units, ea 6 Fan. "Wedderburn" DS 410 Carton Scale, 60kg. 2 FDC Unit, ea 6 Fan. 2 Stainless Steel Bin Trolleys. 5 Stainless Steel Blending Mixers (Spanish Fly), ea 500lt. 2 Stainless Steel Handwash Sterilizers. 3 "Buffalo Trident" FDC Units, Low Profile, ea 3 Fan. Stainless Steel Topped Sausage Receival Table. 2500 x 1200mm. "Stephan" Stainless Steel Vacuum Mixer, Tilt Discharge. 7 Assorted Product Lifting Bins. "Mettler" Platform Scale, 1500kg with Digital Readout. "Metalquimia" Stainless Steel Pickle Injector, 68 Needle. 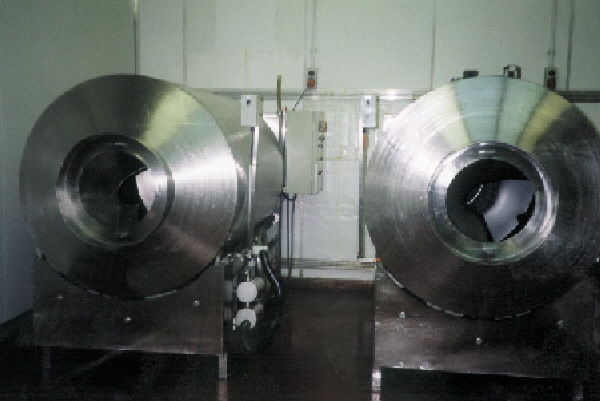 Stainless Steel Clad Mincer with Product Bin Lifter. Stainless Steel Frame Product Belt Conveyor, 2500 x 400. Stainless Steel Frame Two Tier Work Platform. Bin Lift, Stainless Steel Clad. "Poly-Clip" Bench Top Clipper, Pneumatic. "M.B" Manual Pickle Injector Pump. Stainless Steel Topped Table, 2500 x 1600mm. 2 "Bitzer" Twin Cylinder Freon Refrigeration Compressor, 9kw, Type VI. "Bitzer" Twin Cylinder Freon Refrigeration Compressor, 5kw, Type IV. 2 "Bitzer" Four Cylinder Freon Compressors, 9kw, Type 4P2. "Buffalo Trident" Condensor, 4 Fan. 2 "Buffalo Trident" Condensors, 2 & 3 Fan. 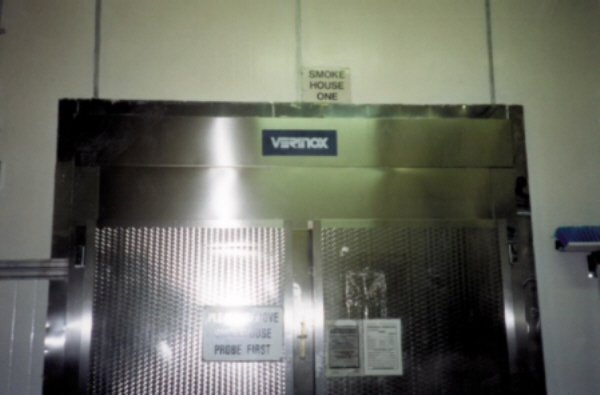 OUTSIDE NO: 2 SMOKEHOUSES CONT. 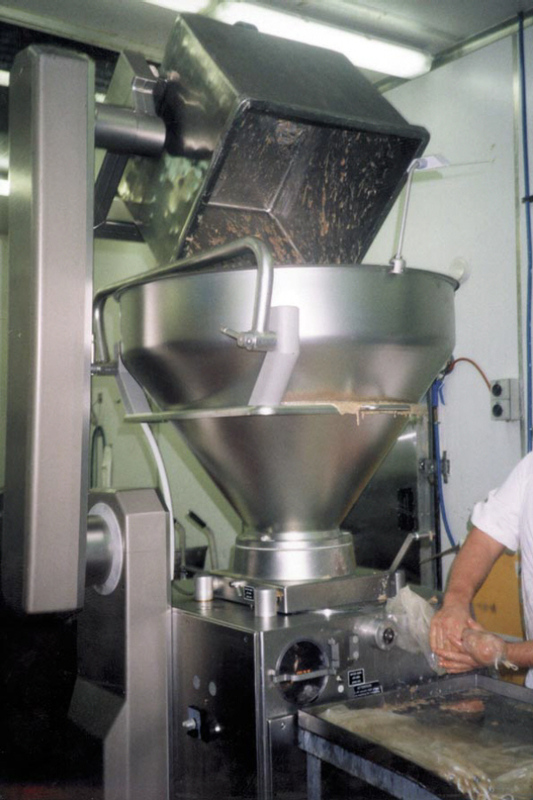 Stainless Steel Mixer Blender (Spanish Fly), 400lt. 4 Stainless Steel Smokehouse Hanging Racks. 5 Stainless Steel Troughs on Cart Frame, Mobile. 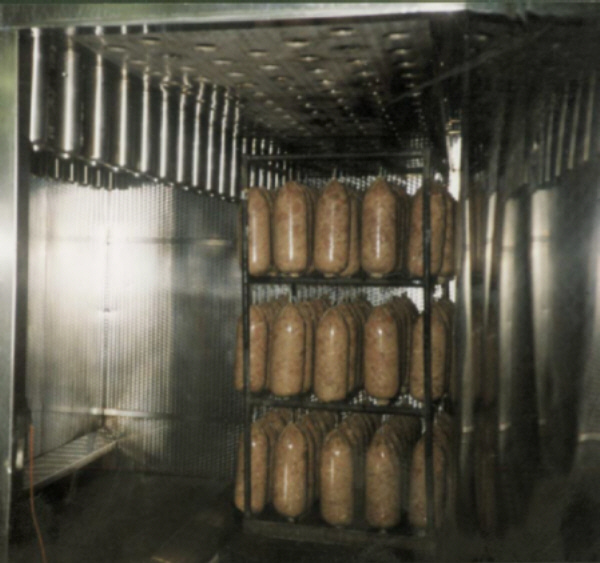 56 Pipe Frame Smokehouse Trolleys. 12 Stainless Steel Frame Tub Trolleys with 400lt Tubs. 25 Galvanised Frame Tub Trolleys with 400lt Tubs. 1000 (approx) Stainless Steel Bacon Rakes. 14 Stainless Steel Big Eye Mould Hanging Trolleys. 360 (Approx) Stainless Steel Big Eye Moulds. 2 "Bock" 4 Cylinder Freon Refrigeration Compressor, 7.5kw. "Terry" Twin Cylinder Freon Refrigeration Compressor, 7.5kw. 2 "Bitzer" Twin Cylinder Freon Refrigeration, 9kw. "Buffalo Trident" Condensor, 2 Fan. 250 Stainless Steel Virgina Ham Presses. 230 Stainless Steel 4x4 Moulds. 22 Stainless Steel Lid Covers.